Just taking a look around the park, the school run, or your local high street and you will see children of all ages scooting. If you were to watch us in the morning on our commute to school, you will see two blonde boys, zooming recklessly down a hill on their scooters, with their red faced, puffed out Mama running madly behind them. Yeah – arriving at school sweaty and out of breath, them invigorated and hyped. What I need is my own scooter. Then I could zoom along with them, enjoying the ride! What a joy. So, when Micro Scooters recently got in touch with the idea of us trying their family scooters, we jumped at the chance. The boys chose a blue and a red one, and Dan and I chose a black for him and a white for me. We are in love! We scoot to school, to the park, have timed races – the boys think it’s hilarious that I’m on a scooter (as I am very slow!). Micro Scooters is usually seen as a young child’s scooter, yet you have a range for adults, can you tell us about it? We started the company because we found the Mini Micro and Maxi Micro scooters changed the way our families’ lives worked. For us as parents the scooters gave us freedom to actually get out and about with our children. No buggy tantrums, no tired toddler feet just simple, great outdoor adventures. We knew if children’s scooters could be used as a tool to make journeys easier and more fun the same could apply to adults making journeys that are too far to walk and too short to drive. 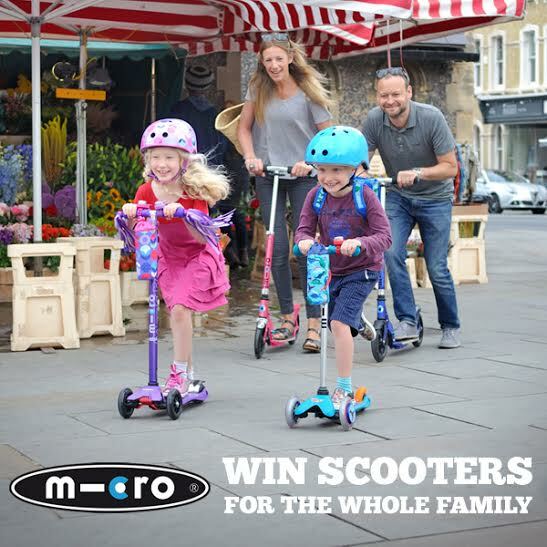 We call them micro journeys and they can be everything and anything between scooting to the station to catch your train to work, using a scooter on the school run with the children, scooting to the shop for that forgotten pint of milk or for weekend family adventures. Can you tell us some key features of the scooters? The folding micro scooter was invented by the founder of Micro Mobility Systems – Wim Ouboter. All our scooters are engineered in Switzerland by him and his team. His innovation, his pedigree in design and his thirst for technical superiority are what make Micro scooters simply a cut above the rest. For us and Wim the devil is in the detail. Which means staying 5 steps ahead of the game in terms of quality of parts, from sourcing and creating new technologies in ball bearings to ensure they are long lasting and make the wheels of the scooter turn more smoothly to making sure the practical details of using a scooter are taking care of. For example our adult scooters have a mud guard which protects your clothing from getting dirty, a kickstand which means the scooter can stand by itself and an easy to use folding mechanism which makes it easy to carry and transport your scooter. Samantha Cameron was recently spotted scooting on one of your scooters, if you could choose any celebrity to ride one, who would it be and why? 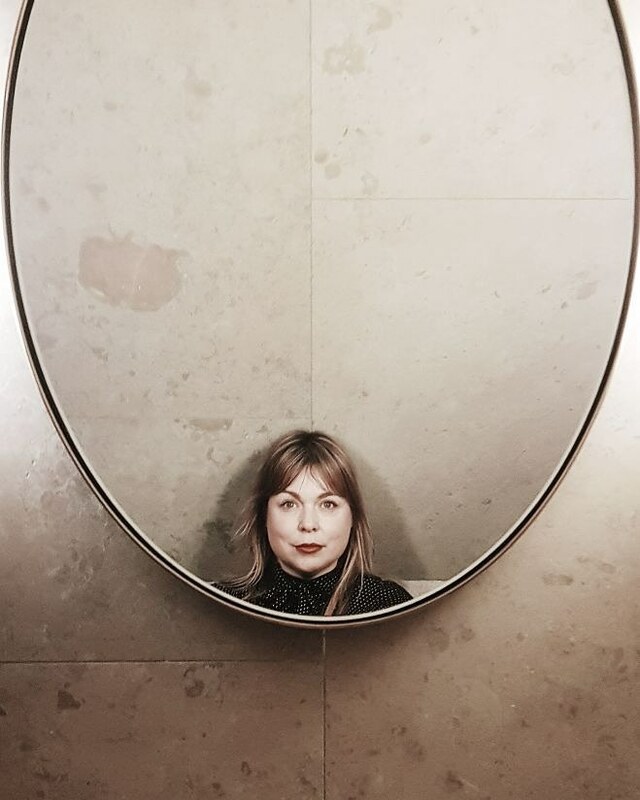 Samantha Cameron is not the only famous adult scooter rider. Hugh Jackman, Will Smith, Sarah Jessica Parker and many more are fond of a scoot! 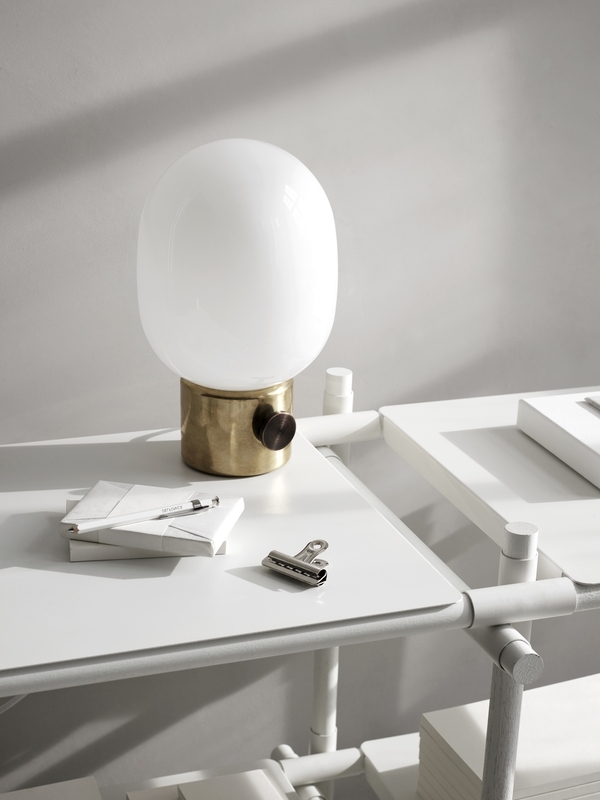 So many names on our wishlist…. Mr Obama, the Pope and the Queen would have to be our top 3. More and more people are looking at a greener and healthier way to commute to work, how would you convince people to scoot instead of drive? Scooting first and foremost is fun. It’s a great way to get active (have a look at our Scootercise programme) and like you say is a greener way to get around. Of course driving has its place but sometimes taking the car is just a bit of a faff. Petrol, parking, time lost in traffic jams it’s just not the way to do things. 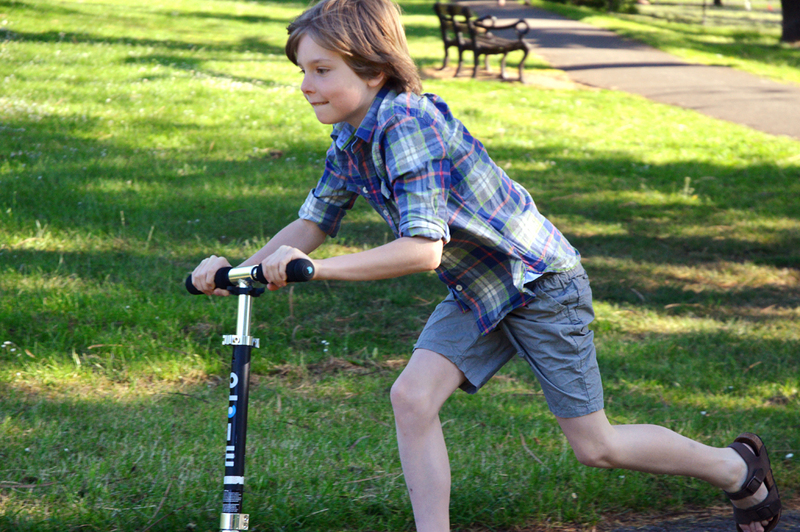 Scooting is free, helps you get to places quicker and….gives you thighs of steel. Where do you see the Micro Scooters brand growing in the future? As the inventors of the micro scooters are past, present and future is very much about innovation. We are proud to have revolutionised the way millions of children get to school, we are thrilled thousands of adults are using a scooter to get around and we are excited to be working on the next innovation for urban mobility. Coming soon…..
And finally, where can we buy one? From our website www.micro-scooters.co.uk Looking forward to seeing you. Micro Scooters are kindly giving away four scooters up to the value of £160 each (this can be from the adult or kids range) – offer is open to UK and Ireland residents only. Don’t forget to get some protective head gear and pads from onlysportsgear.com who also sell sporty clothing too. All you need to do is complete the rafflecopter widget below. Giveaway closes on Friday 19th June 2015. We’ve just got a caravan so these would be great to take with us on our adventures. On the School Run… It would be SO much Fun! We are blessed to live in the country and have no bus route or shops so this is super useful. Along the Hove prom!! Sea air on my face! Great to take to Iceland for the long empty roads. I would use them in the park. We have some nice wood, flat footpaths locally as well as a super little park. exploring kettering and the surrounding area! We are really lucky to have a few local parks and nature walks by us, this would be ideal to take the whole family for strolls on the scooters. We would use them on trips out. 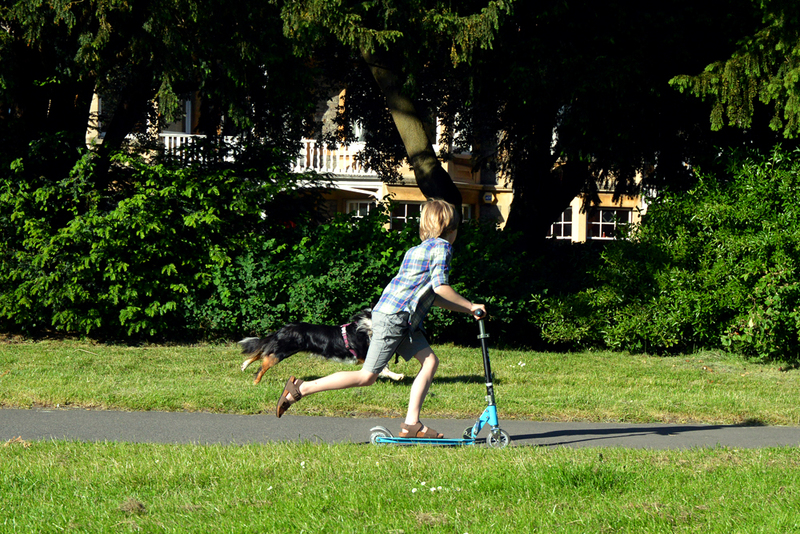 It would be great fun to be able to scoot along with the kids and keep up with them! There are loads of places to scoot round me including the local parks. We’d use our scooters on holiday in North Wales this Summer and on many park trips back home too! We are going on our first holiday abroad this summer as a family and these would be great for exploring. I would use the scooters on the school run and also for racing my husband and little girl around at the park! To get to town, we walk to town a lot and this would be a much more fun way of getting there! Would use the scooters to go round our lovely lake. We could use them on the school run with the kids and also in the new family skate park close to our house. We would scoot to and from school every. single. day. Whooooshhh!!! Where I live in York there is a lovely field around the corner which has the grass cut into lanes especially for that purpose so they would be used there. I think we could use them everywhere we needed to go locally! To catch up with my boys! We’d use them for the school run and for scooting along the riverside path to get breakfast at our favourite little cafe. We would use them along the seafront on our sunday morning walks. On the school run, in the garden, in the forest, in the house?! To our local,park.shops and while walking the dog it will help me to keep up with her. Everywhere! We would use them around our Village – We would even take them on Holiday for a Zip along the sea front. I would use them on the school run and for weekend adventures! On the school run, out for walks, on the way to park – I am guessing pretty much everywhere! We live in the beautiful Pembrokeshire countryside – so we try to walk where possible, so we would ditch the car and use the scooters! Mainly on the school run, also scooting to the swimming pool, park and just generally getting about and having fun! Down the promenade at the beach to fetch our ice creams ! 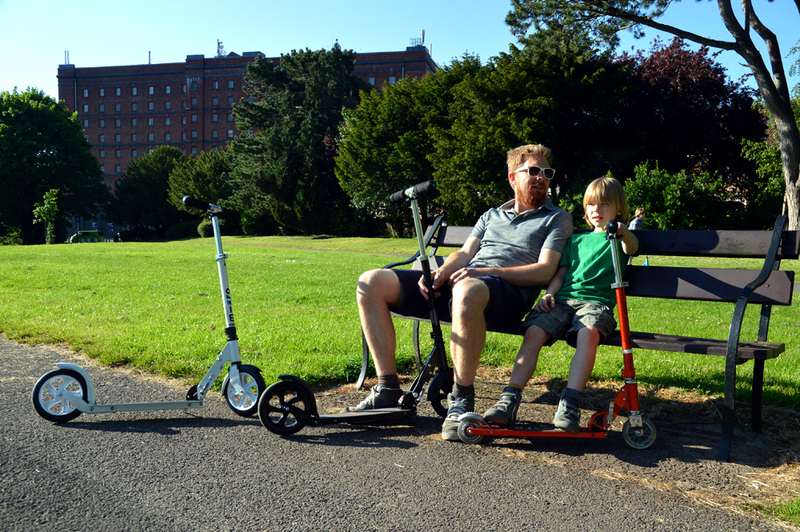 we have an amazing park near us where we take weekly walks, think we’ll make it a family scoot! We are lucky enough to live opposite our local park which we visit every day. Would be such a hoot! And the calories we’d burn! With our hearts missing beats! And do the scooter locomotion!!! Around the farm to get the cows in for milking! Around our area on Sundays to get us out enjoying the sunshine. Commute from the train station to work, walking time of 30 minutes would definitely be decreased by at least half or even more! 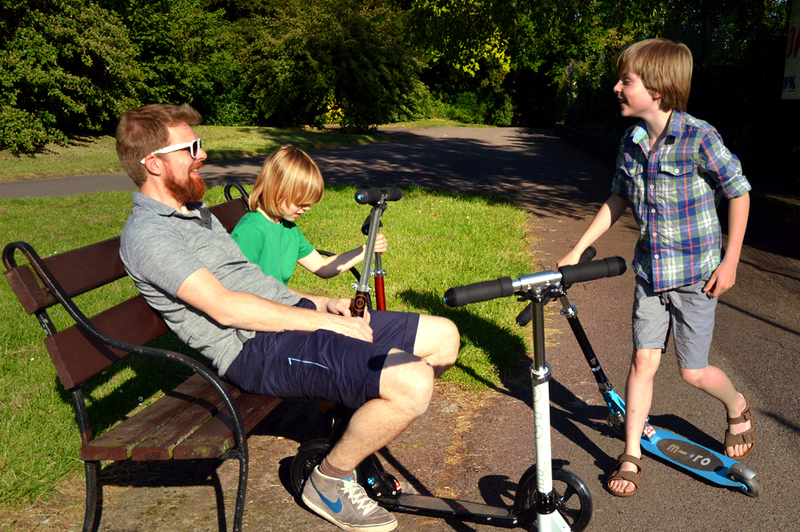 Off on our holidays to Holland – the little one hasn’t mastered the bike yet so family scooters would be amazing! I would scoot with my four year old who loves the skate park. He is brilliant and we can bust some moves on the half pipe and scoot there and back! I might be able to keep up! In the supermarket when doing the weekly shop with my Gran…she may even borrow it. Going to the park and on holiday. For a family race around the velodrome in our local park! I’d scoot everywhere! I don’t drive, so scooting would make an exciting change from walking or running. They would be great for when we are all out with our young border collie Ben, he loves running along beside the kids. On the school run and to the park. Family fun in the park! Everywhere but mainly where we live in the countryside, down lanes, villages and the greens. In the hug park across the road from our house! 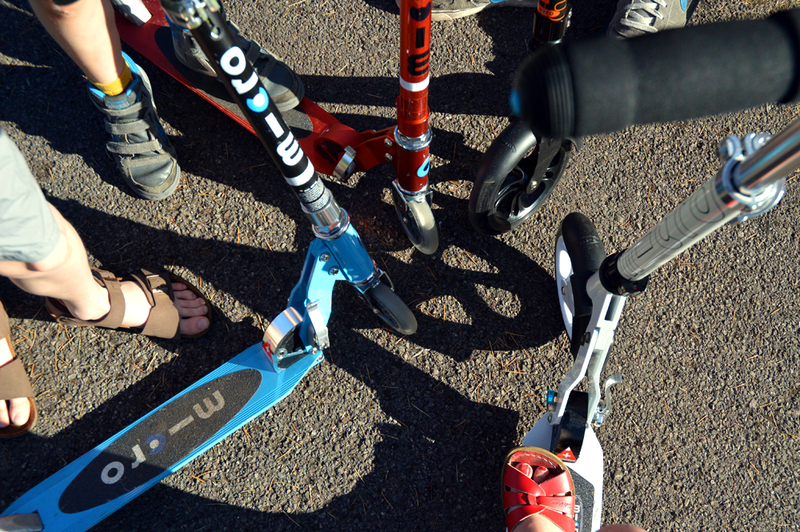 we would use ours to scoot to school everyday and the park x. Would be great to a scoot along the canal to school and local shops everyday – plenty of fresh air and exercise! Along the seafront with the dog. my boys love to take their scooters to school, time for an upgrade! Mainly on the school run! i would take the kids to delamere forest with these looks fun !! We’d use them here, In Stornoway – for journeys to the small town but mainly to school. I don’t drive at all and this would make the journey much more fun. Along our local coastal path with our young family. We’d go to the park. Looks like great fun! I’d use the scooters as a fun way to get about to anywhere and everywhere as a family this summer! On holidays and days out. The school run, it would be a blessing! Where wouldn’t we use them? They look amazing and would hopefully help us get fitter too! They would be perfect to fit in our motorhome and take with us on our travels as we can’t fit all the bikes but could still have great family fun together with these. Would put them in the car for when we go out for the day, get around quicker and see more! scooting between my house and that of my son and family on the other side of the village! My son would use it to get to school on and on the skate park near us! I’d use them in our lovely local parks! Around the local parks. Our son has special needs and doesn’t like walking, scooting with the family might get him some much needed exercise! We would take them with us in our caravan so that we can use them when we are away in lots of different places. I’d use them to make my friends’ children happy and able to enjoy playing when they come to visit. We have a local park where we could use scooters. Everywhere school runs, shopping, days out and holidays. 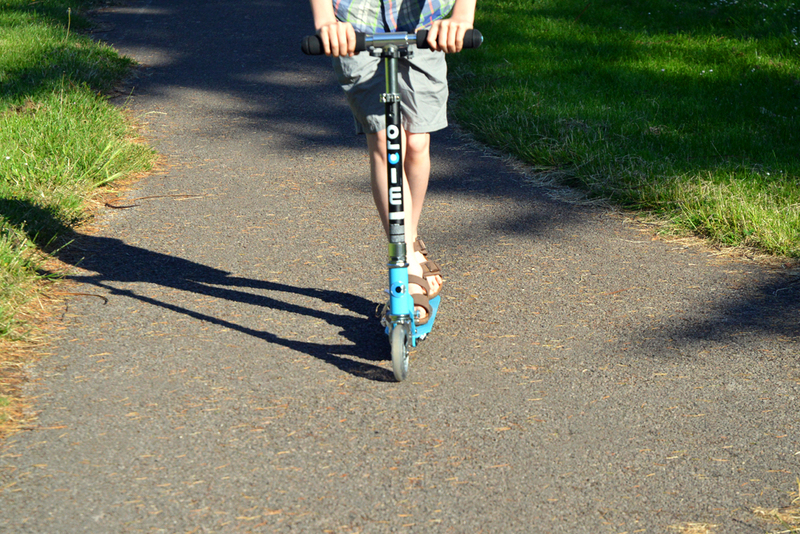 I’d have fun scooting around my local park with my children. my daughter is just about to start pre-school, so we would scoot there. Along the prom where we live and when we take our dog to the park!